B4BC is thrilled to be back home at Sierra-at-Tahoe Resort, where the first B4BC event was held in 1996, for the final stop of their Shred the Love Winter Series. The event features an all ages and abilities Park Jam, Live Music on the Plaza, a huge Silent Auction and 10 Barrel’s Hella Big Air Contest. FRIDAY, APRIL 5th at BENKO ART GALLERY - South Lake Tahoe Join us for the Kick Off Party from 4pm-9pm. We will be hosting Apres Yoga from 4pm-5pm followed with an evening of art, auctions, raffles, music, drinks and plenty of good vibes. Sign up for yoga here! Sign up for yoga here. 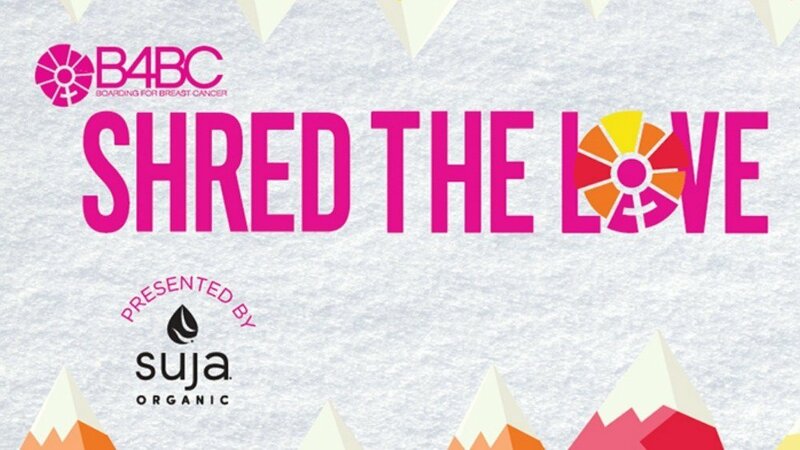 SATURDAY, APRIL 6th at SIERRA-AT-TAHOE RESORT Join us for Shred the Love from 8:30am-4:00pm for a fun day filled with music, snowboarding and skiing! Sign up for the all ages and abilities Park Jam here. This year, we’re teaming up with 10 Barrel Brewing Co. and giving our Shred the Love friends the viewing spectacle, Hella Big Air! Check out the sponsor village, demos and live music! Upon Park Jam registration, participants are able to create their own registration fundraising page. Participants are encouraged to share their personal fundraising page with friends and family to raise as much as they can! Top prizes will be awarded to Top 3 Fundraisers. All funds raised go towards B4BC’s education, prevention and survivorship programs. We will have plenty of SUJA Organic Juices and Kombuchas on hand to keep you energized throughout the day! Can't participate? You can still support B4BC by creating a FREE fundraising page to share with friends and family! All proceeds and donations from the auction and the on- mountain events will benefit Boarding for Breast Cancer's Outreach, Education and Survivor Support Programs.